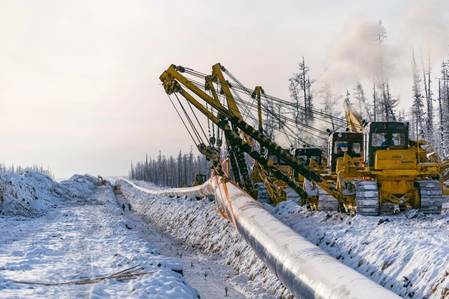 Russian gas giant Gazprom will start supplying Russian natural gas to China via the Power of Siberia pipeline almost one month early than previously planned. Alexey Miller and Wang Yilin, Chairman of the Board of Directors of CNPC reviewed a wide range of issues related to cooperation between the companies, focusing on the ongoing preparations for the start of gas supplies to China via the Power of Siberia gas pipeline. Particular attention at the meeting was paid to the planned deliveries of Russian gas to China from the Far East and via the western route. It was noted that in 2018 China became the world's largest natural gas importer. Its imports totaled 125.7 billion cubic meters, a 31 per cent increase (30.3 billion cubic meters) against 2017. This growth was achieved primarily through liquefied natural gas (LNG), since China is currently unable to satisfy the rising gas demand using the existing gas pipelines. Alexey Miller and Wang Yilin also discussed their companies' collaboration in the areas of gas-fired power generation, use of natural gas as a vehicle fuel, underground gas storage, and science and culture.